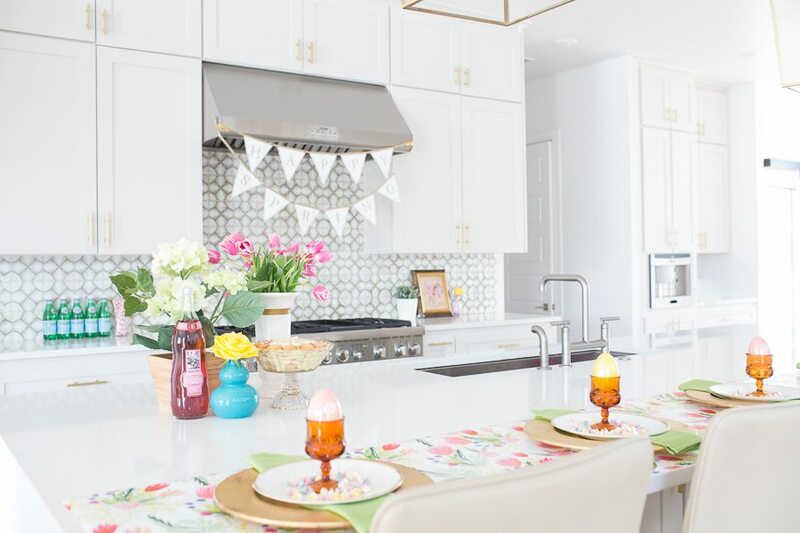 Hello and Welcome to CC and Mike’s Easter Parade Home Tour! Hopefully you are stopping by from Deborah’s at B Vintage blog and you’ve just taken her tour! 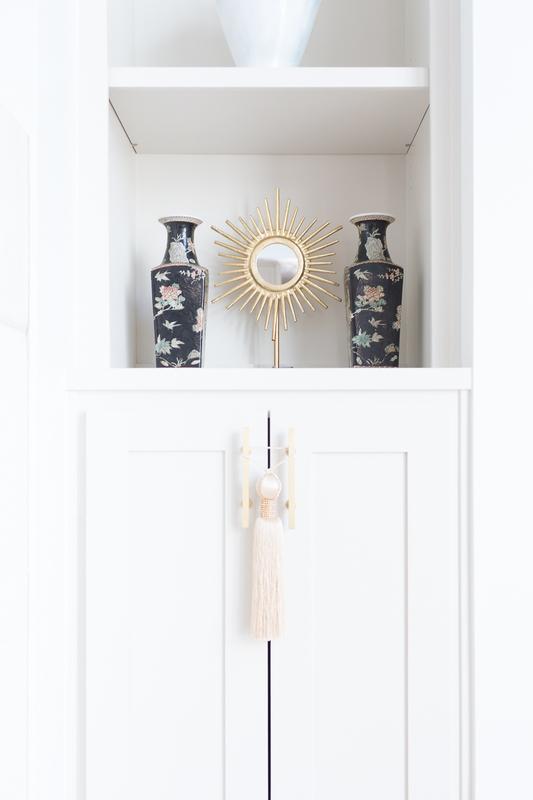 After you are done with my tour please head to my friend Kathleen’s blog – Lindsay Hill Interiors and take her gorgeous tour then follow the blog hop at the end of this post to see lots of Easter and Spring inspiration for your homes! 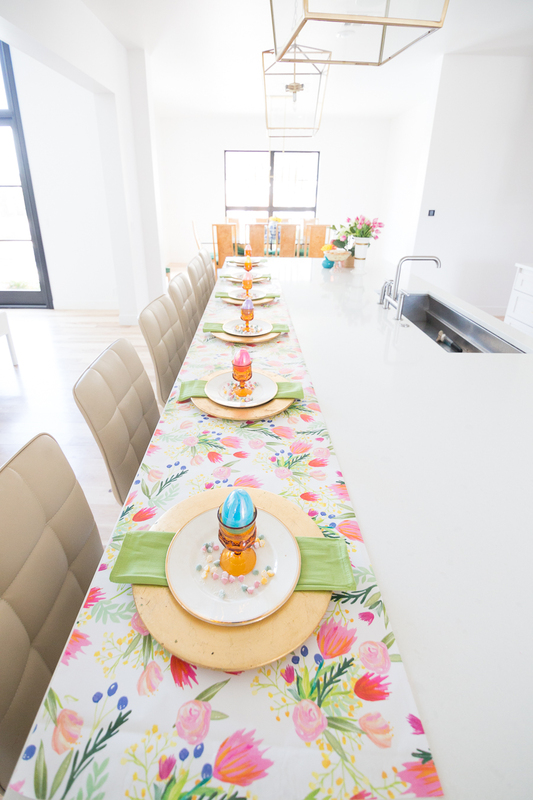 Now before you take the CC and Mike Easter Parade Home Tour, I have a confession to make—I’m not a big Easter bunny fan. OK, there I said it. If that makes me an Easter Scrooge then so be it. As I was preparing for this tour, I was thinking through why I’m not all gaga over bunnies and eggs and all that Easter jazz, and I finally decided that it’s because of the way I grew up. You see, I’m a PK which is short for—”preacher’s kid.” That’s right, my dad was a preacher and therefore, Easter Sunday was never really about the Easter bunny for my family—it was more about church and family. That’s why, for our Easter tour, I wanted to do something special that involved family; so, I invited Grammy J over to make her famous Homemade Banana Pudding recipe with my daughter Emmy, also know as “little momma.” Emmy and her Grammy J had an amazing time cooking and spending the afternoon together while I decorated my kitchen for Easter. 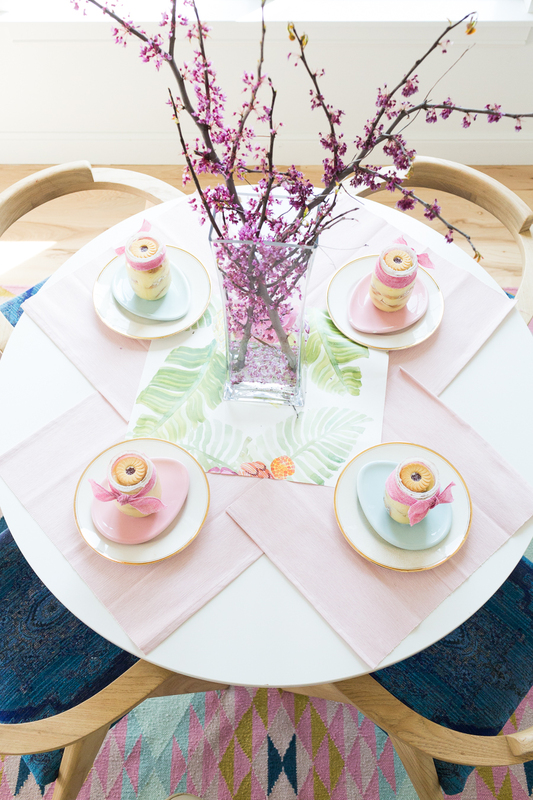 I kept it simple, using a “Happy Spring” banner from the Dollar aisle at target, $3 floral wrapping paper across my waterfall countertop to create 6 place mats, and flowering branches I clipped from the side of the road- Shhh!! Don’t tell Mike Miller because it drives him crazy when I do these types of things.  We all know who the rule follower in our relationship is and guess what, it’s not me. 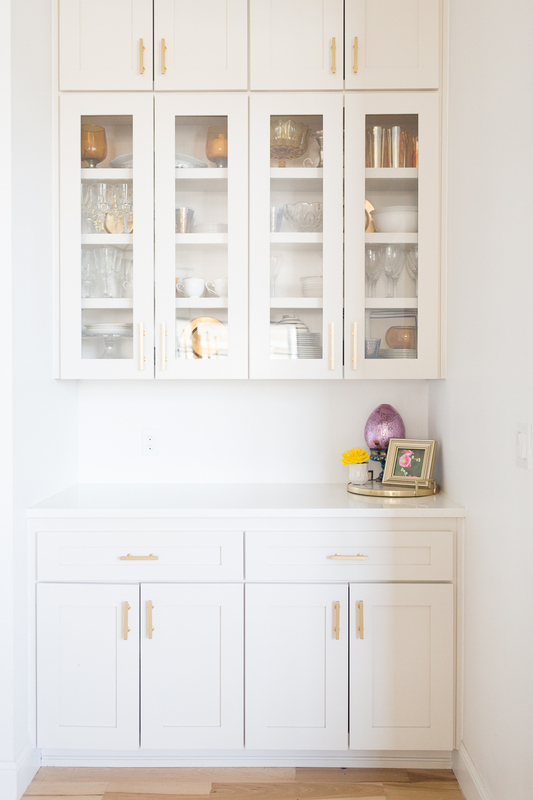 Anyway, I hope you enjoy our little Easter Parade Home Tour and I also hope you will try out Grammy J’s Homemade Banana Pudding recipe that we shared over on the blog yesterday. But even more so, I hope this post reminds you to keep it simple, spend time with family, don’t stress about things that don’t matter, and be thankful for your many, many blessings. 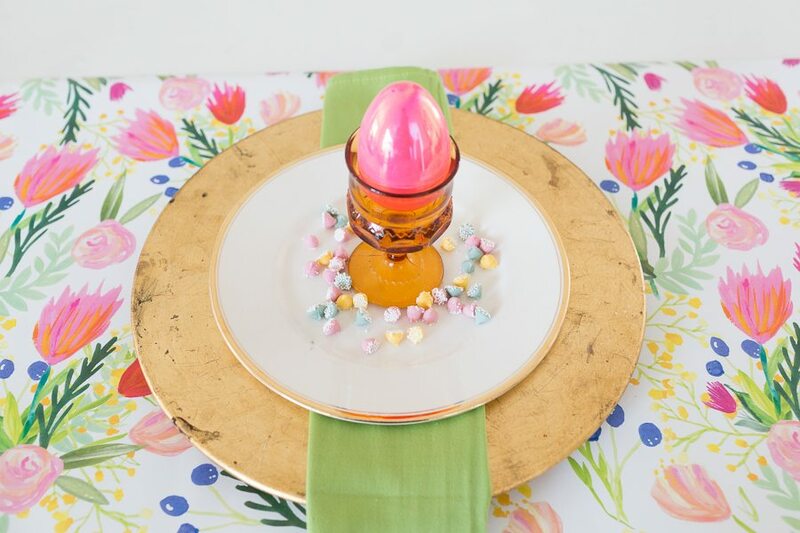 Please stop over to Lindsay Hill Interiors now and see her Easter table. 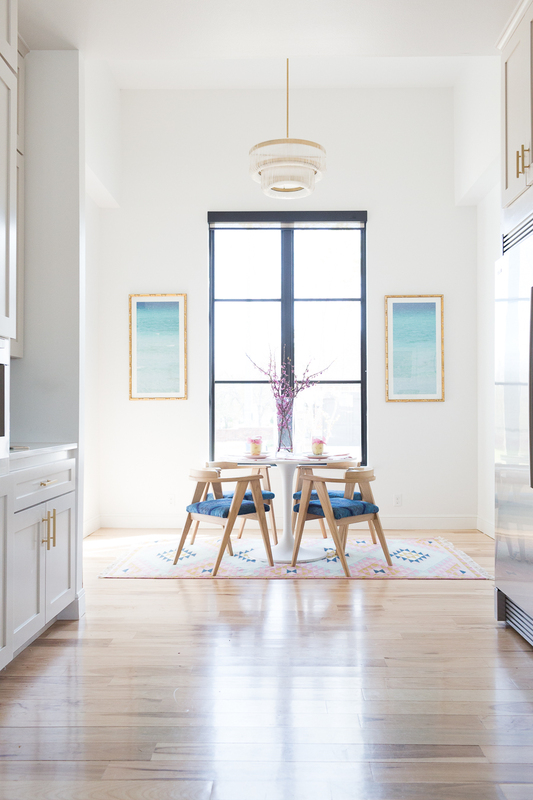 It is to die for, as is her entire home, and you won’t want to miss her tour! 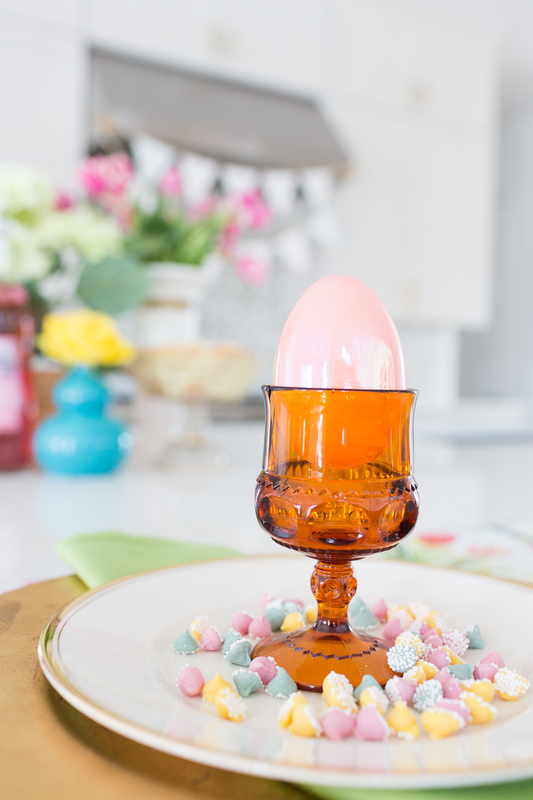 You can shop my Spring and Easter products here. 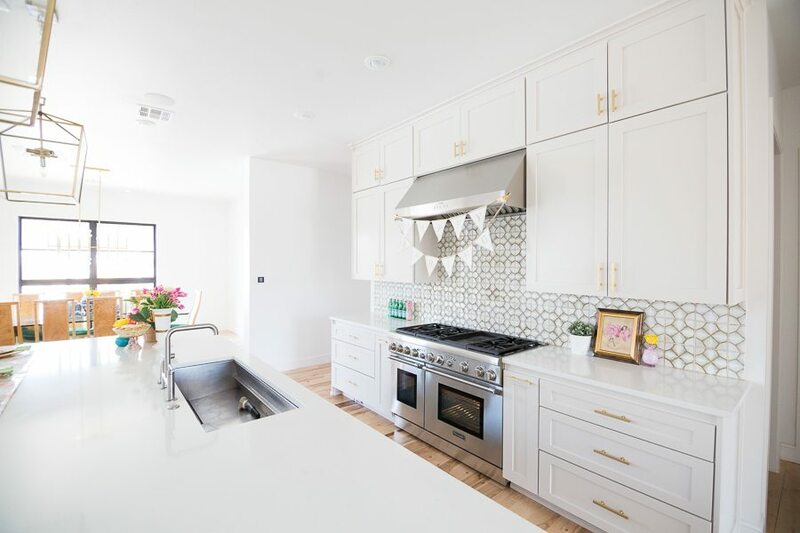 And you can shop our kitchen products and finishes here. 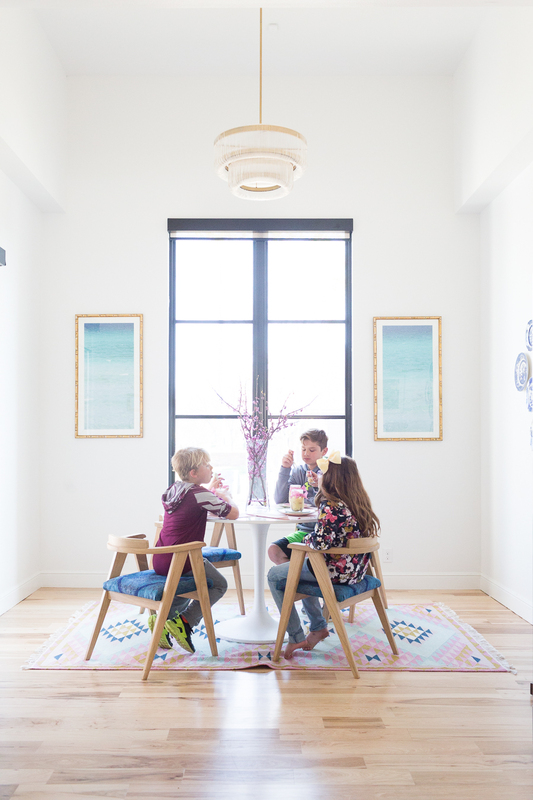 You can shop our breakfast nook products here. 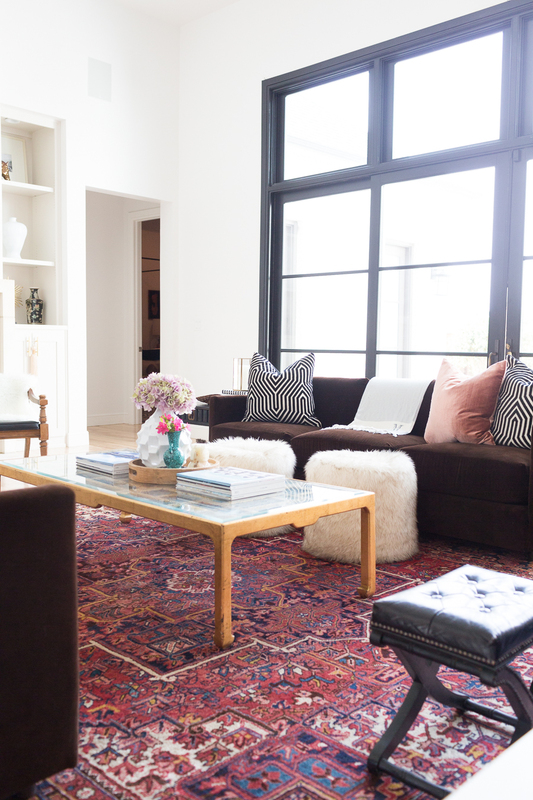 You can shop my living room products here. 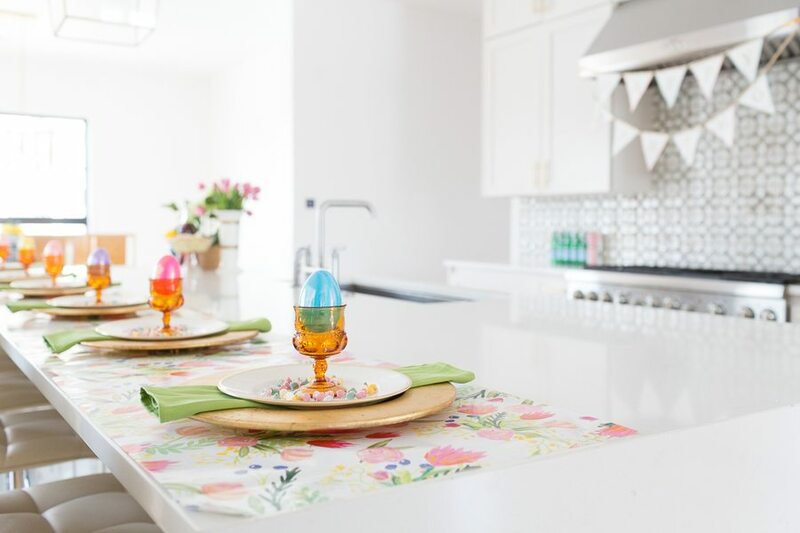 I love that you did this cute idea with the kids – and the island looks adorable with your Easter touches! 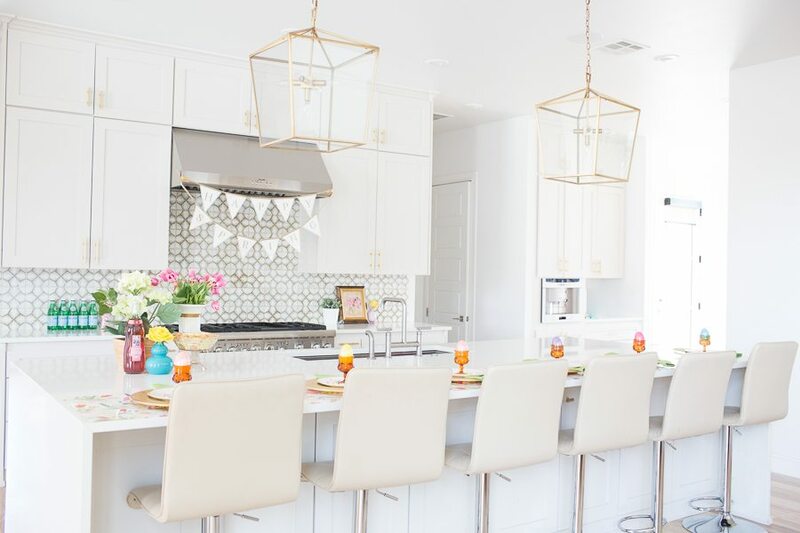 I would say for someone who doesn’t normally like Easter decor, you did a darn good job:)) Of course, your kitchen is SO gorgeous that it doesn’t need any decor to look good! Thanks so much for joining us! It’s been fun “hopping” with you! Oh I just love this CC! 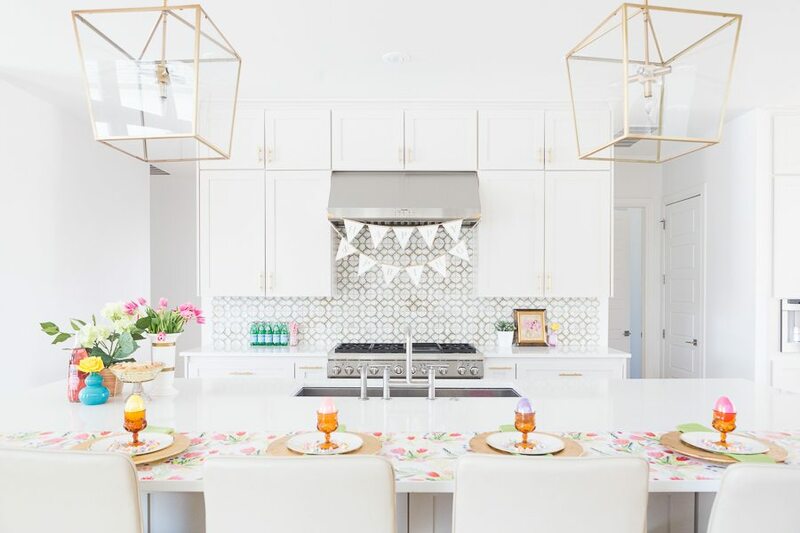 Such a cute setup and I’m obsessed with your backsplash! 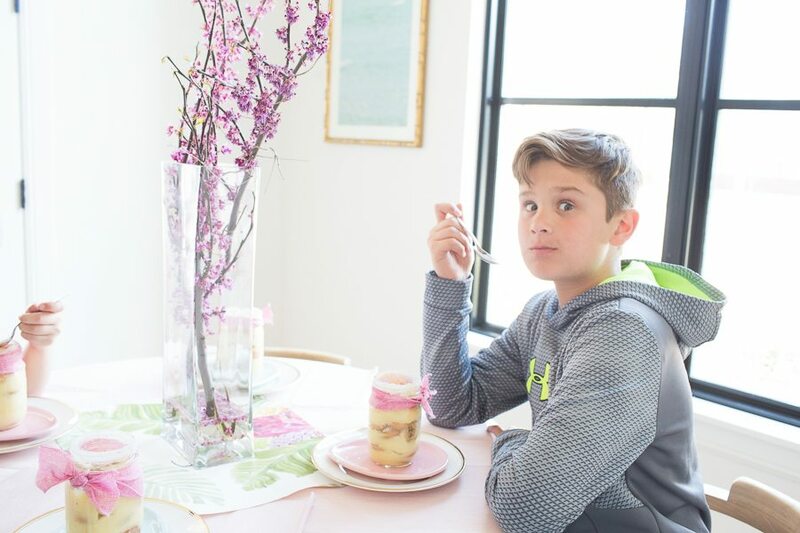 I’m drooling over that banana pudding….omgosh! My favorite! Can’t wait to make and eat that. Love hopping with you again. Love everything you do! xoxo! 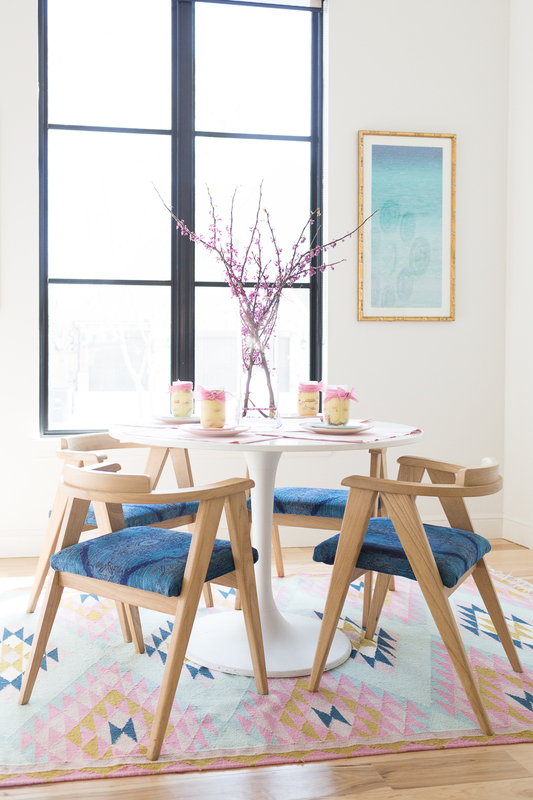 ps – dying over all you glassware, vessels, and rug….so gorg!!! Looks so beautiful! So excited that you are joining us on this tour! I have the same amber goblets and love them. Your home is perfect! So fun to do this hop with you! 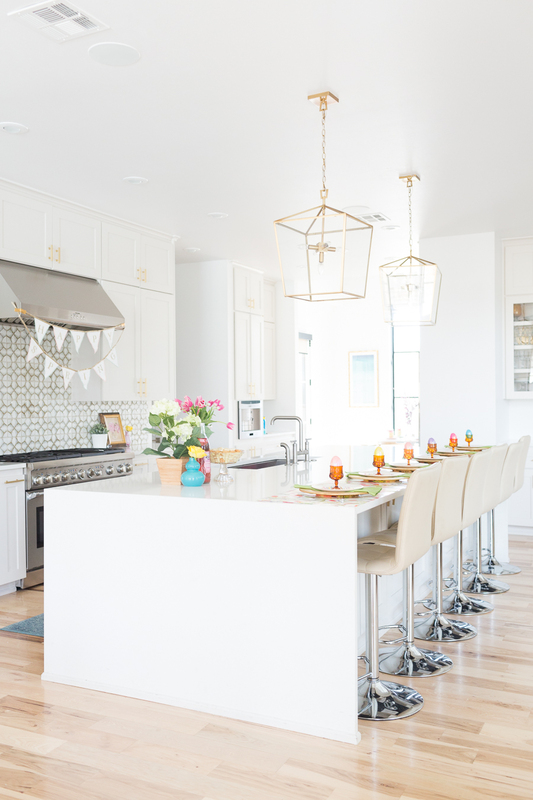 LOVE how you set up the island and of course your kitchen is amazing!! 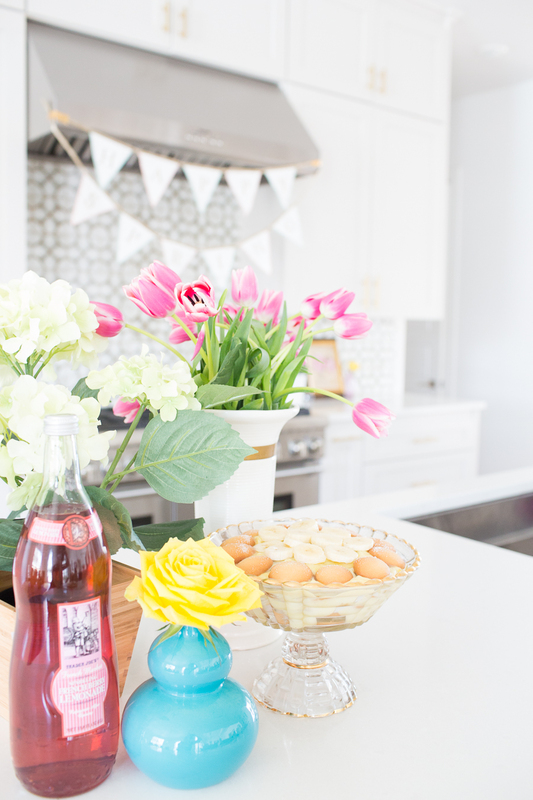 Such cute Easter touches!! WOW, CC! This was just beautiful! Honestly, I totally get why you’re not really into bunnies and Easter eggs, and to be honest, I didn’t even miss them. 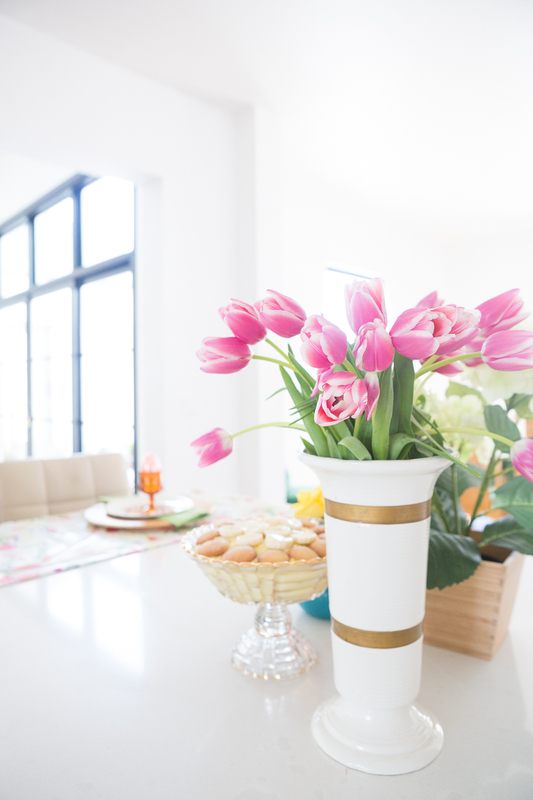 You were able to decorate your home beautifully for Easter without it being overt. I love how you used floral wrapping paper as a table runner and how you pulled in color and freshness with all the fresh flowers and stems you used. 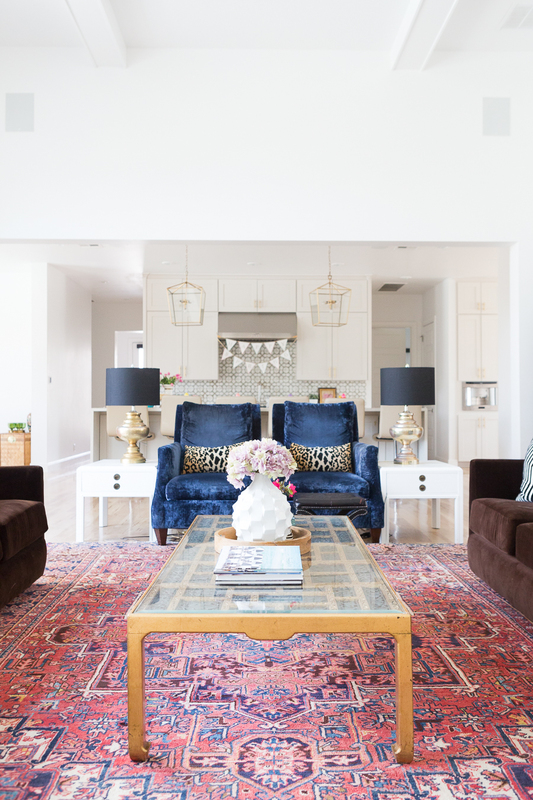 Your home is a showstopper! Loved being a part of this tour with you!